PESHAWAR -- Militants along the Pakistan-Afghanistan border are making enemies of traders, transporters and other citizens in both countries. Sporadic acts of terrorism over the past year have led to the closure of crossing points, restricting the movement of goods and people. "We have to wait for days on either side of the border because of terrorism ... which affects our work," Ghareeb Gul, an Afghan who works as a vegetable vendor in Peshawar, told Pakistan Forward. Gul said he visits his home in Jalalabad, Afghanistan, every month via the Torkham border crossing and that terrorist acts and shutdowns of the border cost him and others considerable time and money. The Torkham crossing connects Khyber Pakhtunkhwa (KP) Province and the Federally Administered Tribal Areas (FATA) in Pakistan with Nangarhar Province, Afghanistan. It is the busiest border crossing between the two countries, used by 15,000 to 20,000 pedestrians and hundreds of vehicles daily, Zahid Shinwari, a former president of Sarhad Chamber of Commerce and Industry in Peshawar, told Pakistan Forward. The border closed September 16 after a twin grenade attack by miscreants injured seven people, including six Frontier Corps (FC) members. Thousands of travellers remained stranded for two days. "It was a great joy when the border was reopened September 18 and we crossed it in droves," Gul said, adding that the border closures happen too frequently. On February 16, the Torkham check-point remained shut for six days after a string of suicide attacks in Pakistan, including an "Islamic State of Iraq and Syria" (ISIS) attack on the shrine of Sufi saint Lal Shahbaz Qalandar in Sehwan, Sindh Province, taking at least 88 lives, according to local media. Another major crossing in Chaman, Balochistan, was closed for the same reason. 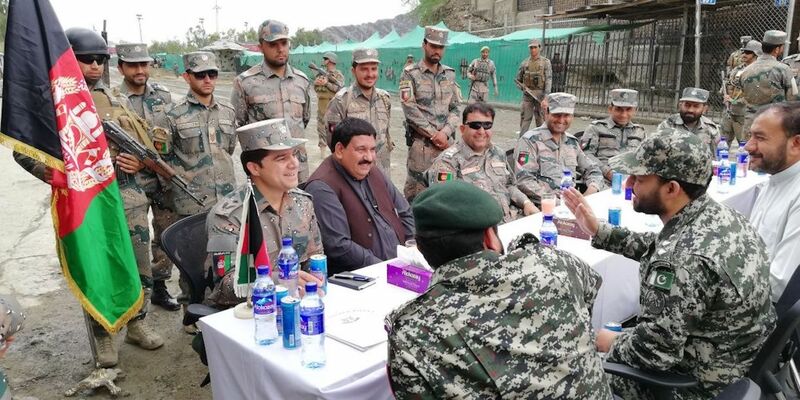 Both border crossings were reopened after about a month -- after negotiations between Pakistani and Afghan security forces and political leaders -- on humanitarian grounds to allow passage for hundreds of civilians and lorries carrying food and other goods to Afghanistan. The militants want to disrupt trade and human contacts between the neighbours, said Peshawar-based political analyst Khadim Hussain. "Taliban militants are staunchly opposed to the brotherly relations between Pakistan and Afghanistan, so they leave no stone unturned to undercut their relations," he told Pakistan Forward, adding that improving brotherly relations would lead to the demise of terrorism. "The international community and the population on both sides of the border want complete peace as they are sick of the endless series of terrorist acts that have harmed trade," he said. "Militancy has been affecting both transit and trade critically, and the business communities in the two countries are suffering," he said. 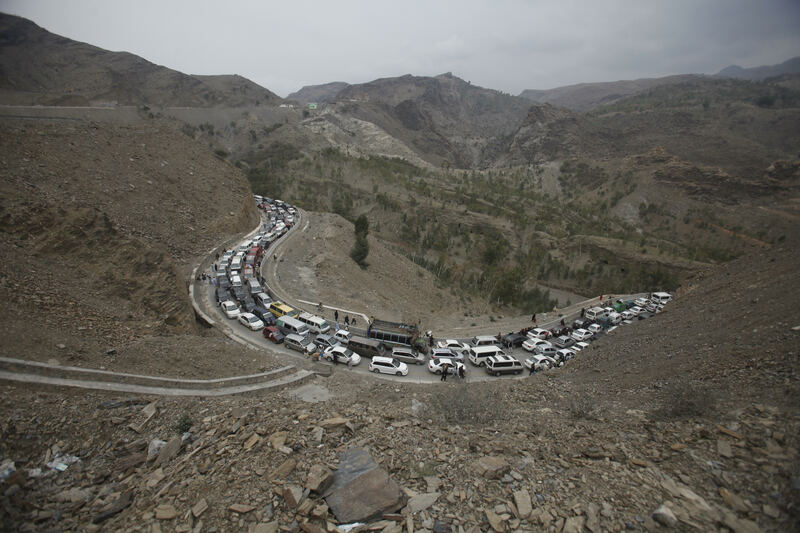 The border closures have been damaging trade between the two countries for more than a year, said Muhammad Zubair Motiwala, chairman of the Pakistan-Afghanistan Joint Chamber of Commerce and Industry. Another closing of the Torkham border occurred August 18, 2016, because of a violent disturbance nearby that "significantly harmed trade between the two countries", he told Pakistan Forward, adding that the border re-opened September 1, 2016. 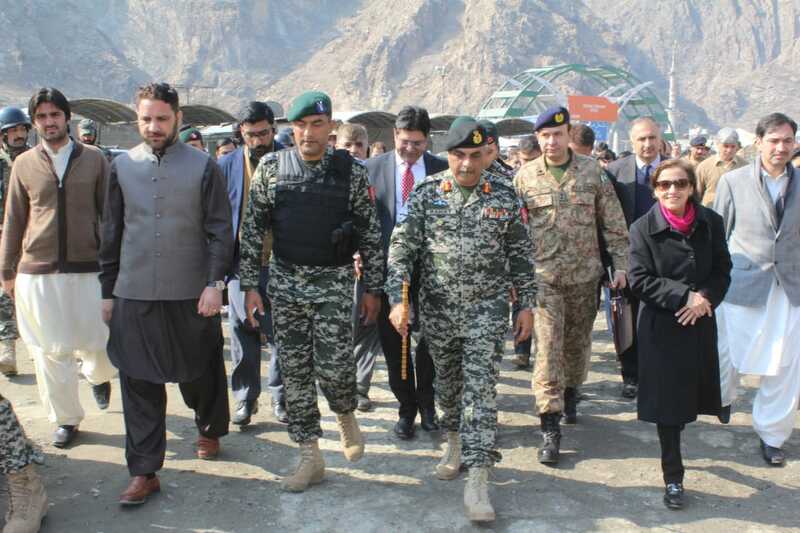 "We appreciate the efforts to improve co-operation and co-ordination between border security officials and to put the brakes on untoward incidents in the future," Motiwala told Pakistan Forward. "We are trying our best to begin a series of confidence-building measures to strengthen and revive connectivity between the two countries," he said, citing "border-to-border networking events". "The business community wants peace to develop trade with Afghanistan," he said. "Trade benefits business communities in both countries as well as the public." In Balochistan, Pakistani authorities closed the Chaman crossing April 2 after a confrontation between border guards and travellers ended in a man's death. It re-opened after 22 days. Such repeated, violence-caused shutdowns inflict irreparable losses on residents of both countries, Motiwala said. "The ones who suffer are the ordinary people," University of Peshawar researcher Muhammad Ubaidullah told Pakistan Forward, referring to the repeated Pakistani-Afghan border closings in the past 15 years. "Shutting the border leads to price hikes in Afghanistan, where consumers rely on Pakistani food," he said. Annual trade between Pakistan and Afghanistan has declined from $3 billion to a projected total of $2 billion in 2017 if the pattern of early 2017 holds true, according to Motiwala. Trade is not the only activity that terrorism harms. Afghan schoolchildren attending Pakistani schools are thwarted as well as patients seeking medical treatment in Pakistan. "We are totally dependent on Pakistani hospitals for specialised treatment," said Multan Khan, a Logar Province farmer. "When borders are closed, patients from Afghanistan wait for days near the border." Khan's cancer-stricken mother has to receive treatment in Peshawar every two months, he said, adding that border shutdowns endanger her life. Observers hope that the re-opening leads the way to better relations between the neighbours. High-level officials have inspected security arrangements, while traders on both sides of the border are optimistic for a boost in business. The flag meeting at the Torkham border crossing comes after a brief flare-up of violence earlier along the border. Such meetings will improve communication and defuse tensions, say observers.